Is the new trend, the coolest way to eat and we couldn’t agree more! 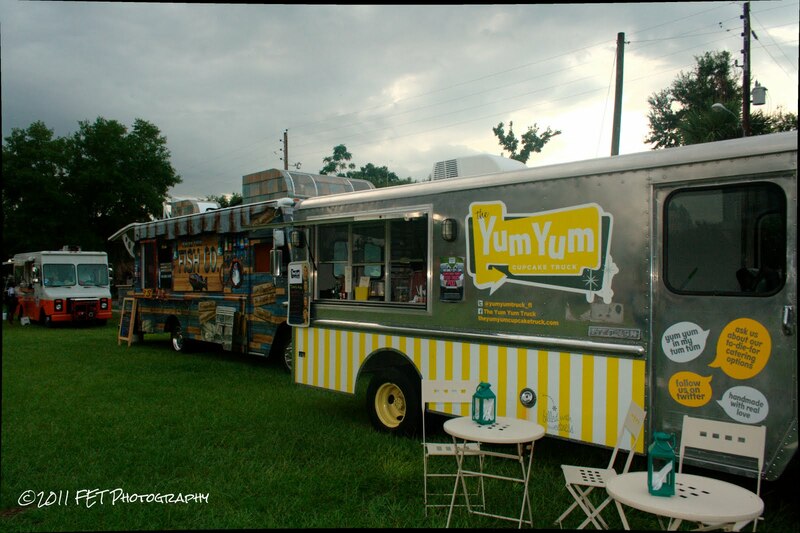 Food trucks are the new best things to hit the food scene! And in Orlando, Fl – like other cities in the nation, it is growing and growing and therefore is hard to keep up with the many trucks, the pods and the bazaars around the city. The bazaar is when several trucks get together in one place at the same time, offering a lot of yummy options to hungry fans. There are a lot of trucks and all with different offerings, all good in there own right. In this post we want to give you a sample of some of our favorites trucks and where to find them. We will be sure to revisit this topic as more food trucks are added to our list of ‘must eat there’ almost every week!! 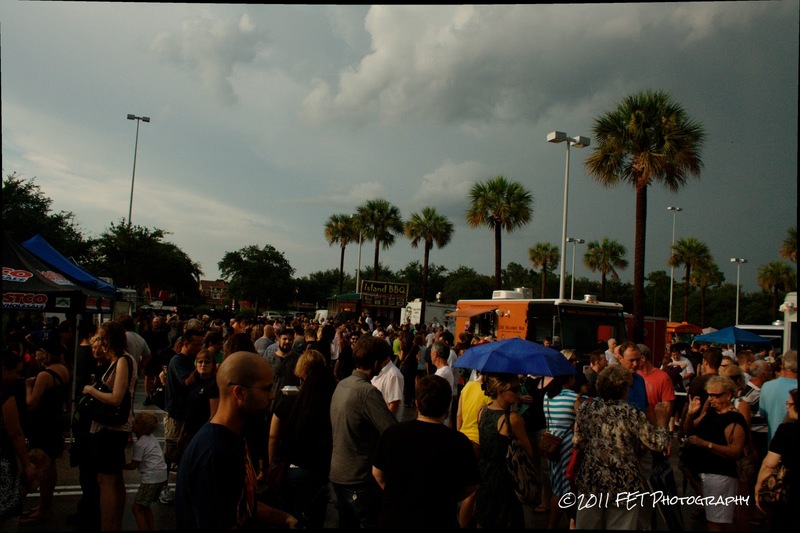 We first discovered the food truck pod thanks to an article published by the Orlando Sentinel newspaper that highlighted the event taking place every Wednesday in the parking lot of the downtown Orlando club Firestone Live. That first pod had the participation of several of our favorites trucks: The Crooked Spoon, Tree House Truck, The Yum Yum Cupcake Truck, Big Wheel Provisions Food Truck, Tastebuds, and the Korean BBQ Taco Bus, among many others. That pod got so popular that other trucks wanted to participate and the venue didn’t fit them all. Other pods started to happening, and now there are food trucks’ events almost every day of the week – and we couldn’t be happier! The trucks are also on different locations during the day and to know where they will be, you need to like them on facebook and/or follow them on Twitter. That way you will always know where they are going to be, what their menu’s are and more. About the trucks… most of them serve gourmet food – not at your street, food truck price- while others give you burgers, sandwiches and very good and fairly price exotic food. At the Tree House Truck, owner Thomas Ward will take your order of sandwiches like their signature Chimoo – chicken, steak, slaw, sweet potato fries and a sweet sauce or their delicious French Onion Grilled Cheese and Chef Balls, a type of arancini balls – fried rice and cheese balls. 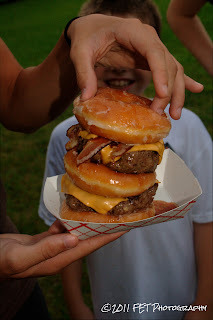 But they are better know for serving the infamous ‘The Luther’ aka the Krispy Kreme donut burger… Yes, they use donuts as the burger bread… It is greasy, at almost 1,000 calories but it is oh so good… We suggest ordering it at least one time and split it with friends so everybody can share the calories and the great combination of sweet and savory. The Big Wheel Provisions Truck offers a variety of dishes: cheese grit cakes (they taste like polenta), fried green tomatoes, lemon zest fries, porcheta sandwich (pork belly) and much more! Chef Tony changes the menu constantly since they work with local ingredients – they work with the ‘provisions’ they have in hand, therefore their name. They usually sold out pretty quickly so be sure to get in line as soon as you get to the pod location of your choice. We have eaten at The Crooked Spoon only one time, and we really liked what we had: their famous 6 Mac ‘n Cheese: they mix swiss, gorgonzola, fontina, asiago, parmesan and provolone with bacon (or without for vegetarians), roasted peppers, basil, breadcrumbs and béchamel sauce. Yes, it is as delicious at it sounds! Tastebuds Catering Co. is another great truck but they are distinguished by offering Latin gourmet treats like our favorite Tostones with Ropa Vieja (fried plantains topped with shredded beef, white cheese and pink sauce – that we call mayo-ketchup). They are to die for! This truck also cooks with local ingredients and one of their staple items –when available- is their Farmers’ Market sandwich. 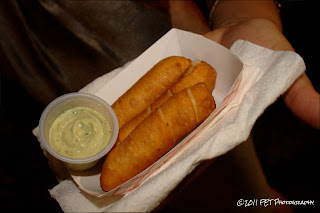 We also love their Tequeños, a Venezuelan dish – cheese wrapped in dough and deep-fried that is served with a delicious garlic sauce. Although is not a food truck – since they don’t cook at the truck and they only serve dessert – The Yum Yum Cupcake Truck has a lot, and we mean a lot of followers. And it is of course one of our favorites. They have yummy flavors like The Key Lime Slime, Chocolate on Chocolate, Red Velvet with Cream Cheese frosting, Peanut Butter and others… They have a monthly cupcake – for example in July they had a Strawberry one and in August they had the S’mores cupcake… I believe they are doing an Apple one now for September. No matter where you live in Central Florida, you can’t miss the food trucks… They go to Apopka, Winter Park, Dr. Phillips, Downtown Orlando, Maitland and soon they will be in Kissimmee… So there are no excuses to go and try them out and be with the in-crowd that loves good food truck food! If you know a food truck that we didn’t mention here, please let us know and write your own review! We would love to hear from you!